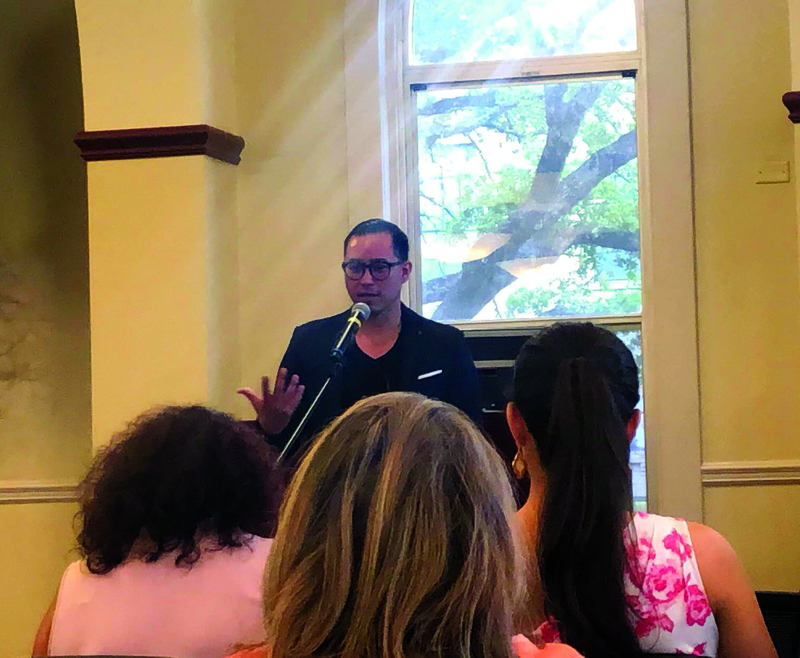 Octavio Quintanilla, professor at Our Lady of the Lake University and the first male poet laureate of San Antonio, held a poetry reading and visual showcase on April 4. Quintanilla put his new visual poetry on display in his exhibit. Growing up in Mexico and moving to the valley of Texas for school, Quintanilla pulled his inspiration for his first composition of poetry, “If I Go Missing,” from his childhood memories and the struggles his parents faced as they sent their two sons to America alone. Quintanilla was named poet laureate of San Antonio on April 3, 2018. The job of poet laureate is to preserve poetry culture and incorporate creative outlets throughout the city. By promoting public interest and culture surrounding poetry, poet laureates take on a project to cultivate a community of authors and artists in San Antonio. 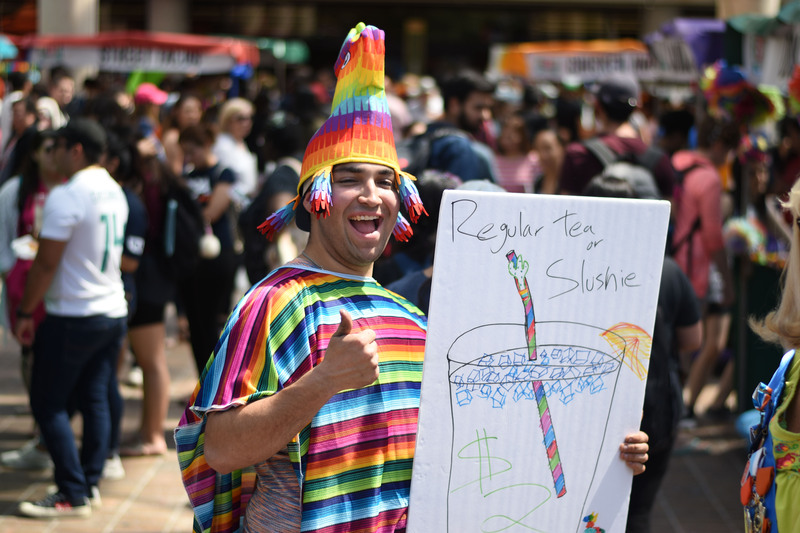 During his reading, Quintanilla recited poems from his published work and also previewed some of his newer writings from his working manuscript, set to be published in 2020. In his first publication, Quintanilla discussed his childhood and the view of Mexico from the eyes of a native. In his new manuscript, he takes the same idea from his first composition, but sinks further into his emotions and brings them to light as he elaborates on his struggles. In addition to his manuscript, Quintanilla exhibited his new line of work, Frontextos. Frontextos is derived from two Spanish words he has created to mean “text from the borderland.” As Quintanilla developed his Frontextos, he incorporated art using pencil and oils in order to add a more visual experience for the reader. By mixing mediums and immersing culture and language, Quintanilla appeals to Hispanic culture by crafting his Frontextos in all Spanish. Mixing abstracts and landscapes from memory, Quintanilla immerses color and art into his writing. Quintanilla’s legacy project as poet laureate is still in the works, but he guarantees an art project in a public place to add to the flourishing art scene surrounding the city.